This product showed up about the time I had three bike builds ready to go, and two of them involved older components being transferred to a new frame. That means greasy chains. And all builds involve some kind of messy-ness. It happens. And it has been some time since I had any real hand cleaners on the shelf to remedy the result of all that wrenching: greasy, black stains deep in the recesses of the hands and fingers, stains that take a lot of scrubbing with Dawn dishwashing soap and a scouring pad to excavate from my skin. Ouch. First, some words from Muck Daddy on what they are about. Introducing a better way to clean for a better, cleaner you. Backed by science. Inspired by your passion. 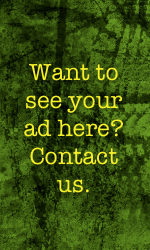 Our parent company Amyris solves problems and improves the world with sustainable science. We all agreed it didn’t make sense that people in tough, dirty jobs should have to use harsh, petroleum-based, smog-causing solvents to clean up. This is what kick-started our team of biochemists on a 10+ year mission to develop Muck Daddy, a new and superior industrial hand cleaner. Soon, Muck Daddy will feature a full line of additional bioengineered industrial cleaning products for a newer, better way to clean, from your hands to everything else in the shop. Our proprietary ingredients were formulated to work faster and leave your hands clean, smooth, conditioned and free from visible cracks. 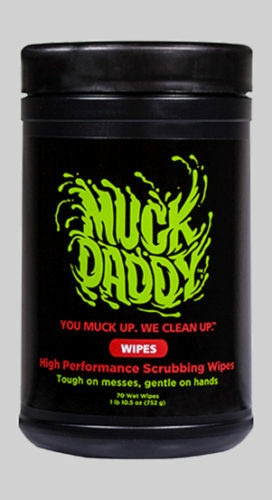 Whatever your passion is at work, home, hobbies, and beyond, Muck Daddy works better, cleans faster and even smells better. And we did it all without harsh chemicals, so it’s better for the planet too. Order yours now and you’ll see in a matter of seconds thedifference Muck Daddy makes. Honestly I had no idea about all this. I just though it was hand cleaner, really never thinking about the eco-considerations. Is that important? Well, sure, I mean if it still works well (and it has to or why bother?) and it also is better for the world around us, cool. Buy that one. I sampled both the liquid cleaner and the hand wipes. So after a few months of de-mucking myself, what do I think? It does not stinky up my hands to where I smell like a diesel fuel spill. Now there are some finer points to discuss. The hand cream version is good, having some pumice-y bits in it that reminds me of Lava soap (do they still make that?). The effort to make it work takes some concentrated hand wringing, but once done, it either washes off cleanly or wipes away. I typically washed off with water at a hose bib. I think I have used hand cleaner that worked a bit easier/quicker, but it also might have been killing polar bear cubs in the process. As I said, the Muck Daddy cleaner did not leave me smelling chemically ‘enhanced’. But the real stand out product for me was the wipes. Now that was pretty cool to have throughout the bike build. I could tear off one towel and just keep it wadded up nearby, picking it up as I got a bit greasy, wiping with it (it has the gritty-ness to it as well), and finding I had little if any residue to transfer to the bike frame and shiny, clean bits. Most excellent. I found it lasted well enough to be useful for a couple of hours at least, not drying out too fast, etc. Winner product. I liked the hand cream version, loved the towelette version. And, apparently, no green things died in the process. The hand cleaner with pumice retails for $8.99 and the 70 count version of the towelettes is $24.99. Online shopping begins here.